Click here to submit a rental application. 1 bedroom 1 bathroom residence over garage. 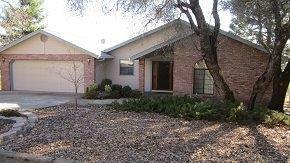 Includes single car garage, window a.c., easy walk to downtown stores. 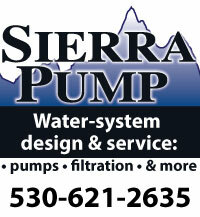 Flat rate of $60/month for water & sewer. 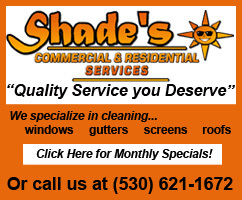 You can call us at (530) 644-4585, or email us via our Contact Page. Steve Baker has a been a pleasure to work with over the past 6-8 years. I have enjoyed working with Placerville Realty, Inc. Steve Baker has a been a pleasure to work with over the past 6-8 years. Steve is very thorough and friendly. He has kept my property rented over the years, even when the market has been turbulent. 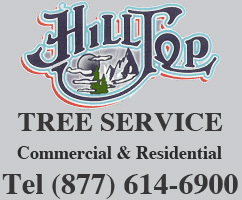 I appreciate his friendly and efficient service and I would recommend this company to anyone. Never an issue if you need something done, or a problem comes up. He is WONDERFUL!!! My family has rented 2 homes from Steve, and he is wonderful. Things get done when needed and he is very understanding. Never an issue if you need something done, or a problem comes up. He is WONDERFUL!!! Been renting my property with Steve for over 4 years, excellent care and service, good professional advice and trouble free management of the rental. Would not use anyone else. Steve and his team take good care of both the renters and the home owners in an efficient professional manner. 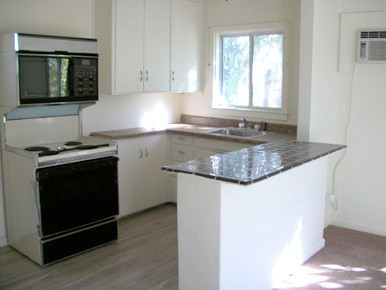 When placing our former home into a rental we knew we wanted to hire a property management company. We selected Steve Baker/Placerville Realty, Inc. because of his many years of experience as a property manager in El Dorado County. Since then we’ve had no regrets. Steve and his team take good care of both the renters and the home owners in an efficient professional manner. After interviewing most property managers in the Placerville area, we chose Steve Baker. 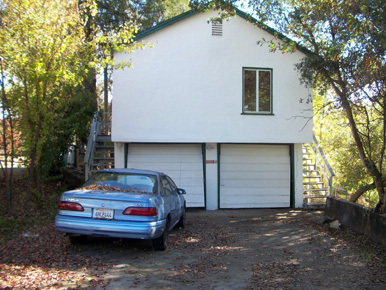 We are newbies in renting our property in Placerville. No longer living in the area, it was very important to us to have a property manager we could rely on and that we trusted. After interviewing most property managers in the Placerville area, we chose Steve Baker. He and his staff helped in our transition in leaving our home and preparing it for tenants. He has been immediately responsive, efficient and thorough in all we agreed on to handle our property. He has a friendly nature and good sense of humor which contributes to our good business relationship! Hi Steve, I went on your web site to see if I could post something about how you quickly replaced my ac. 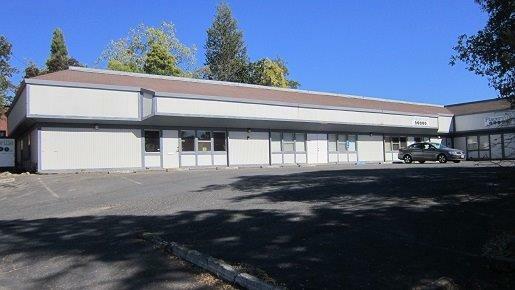 I’m a very happy tenant and will let others know how good Placerville Realty handles it tenants. Thank you again this new ac works excellent – your very happy tenant. Every experience with Placerville Realty has been nothing but positive. When my now-wife and I first moved to Placerville over a year ago, Steve worked with us thoroughly to make the rental property experience a pleasant one. He was so good to work with in our first townhouse, that we turned to him again this year to help us move into a house nearby. Every experience with him and Placerville Realty has been nothing but positive. Steve- We wanted to thank you for our pleasant experience with you over the last 2+ years. When we first met, we appreciated that you understood our difficult situation. And again these last 2 months you have been very kind and patient concerning our circumstances. I think in real estate it’s hard to find someone who genuinely cares, and we really value all of your hard work. We wish you the best and will always let anyone know who is looking for a home, that you are the go to guy! I would recommend you and Placerville Realty to anyone looking for a property manager. Steve has kept the house I own rented for almost 10 years. Steve Baker, as a property manager, has made my rental experience in Placerville very worthwhile and stress-free. Steve is very knowledgeable, dependable and gives excellent advice. He has kept the house I own rented for almost 10 years. I would highly recommend him as a property manager to anyone who has a rental. He’s the best!!! 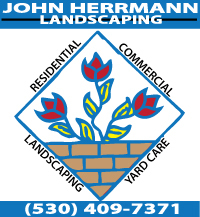 I still think you are the best property manager in El Dorado county and very kind in general. I will not hesitate to refer you. If you are looking for an honest, hardworking and dependable property manager, you will find him in Steve Baker. My husband and I have rented 2 homes from Steve Baker in the last 7 years. If you are looking for an honest, hardworking and dependable property manager, you will find him in Steve Baker. We highly recommend Steve Baker for his fairness, reliability and vast knowledge concerning all areas of property management. He always has a smile and a knack for dealing with difficult people. I rented from Steve for nearly 3 years. Steve, I enjoyed renting from him. He always was on top of in situation that came up. He always has a smile and a knack for dealing with difficult people. I enjoyed my time and would rent again from him. He gets market rate on rentals. Vacancies are rare and always for a short period of time. If there is a problem, he solves it. He picks only well qualified tenants. If you want trouble free management, Steve is your man. We have been renting from Steve for almost two years. He is a great landlord and easy to work with. He has made this a great experience. We would not consider another property manager. Steve has been great and we have recommended him. We would not consider another property manager. We feel good about Steve managing our rental. I recommend many friends his way in time of need. Steve has always been great to work with and I recommend many friends his way in the time of need. We will continue to work with him and he would be the first person we would have represent our personal home as well. Thanks Steve ! Hope all is well. Steve Baker is a consummate professional. 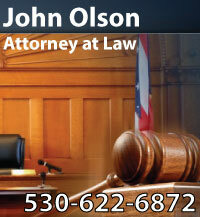 He has represented us and our rental property for many years. He consistently shows excellent judgment and knowledge of the market and the area. We have long-term tenants in our rental home and we owe this stability to Steve’s excellent management. I highly recommend him. Thank you for being a wonderful company to go through for apartment rental. The cabin is cute and quaint and has wonderful neighbors! In real estate it’s hard to find someone who genuinely cares, and we really value all of your hard work. Steve is a great landlord and easy to work with. Placerville Realty is the best!!!! There is no better than Steve Baker. He is the best. I will forever keep his # in my phone just in case. The best landlord you can have. Any problems right there to fix them. 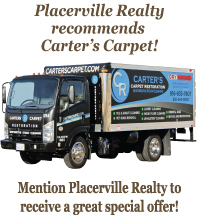 We love the great, prompt communication and the genuineness of the team at Placerville Realty! The place we were living was being sold but Steve and Graeme were wonderful and we ended up moving across the street into another unit. It’s never easy or stress free to move, but this one was definitely the easiest move we’ve ever had thanks to Placerville Realty and their flexibility. Looking forward to the continuance of our rental relationship. Thank you! Steve Baker is our property manager, and we could not be happier. He is professionally organized, very knowledgeable, taking pride and love in the work that he does. He is very conscious of any safety issues that may arise with his tenants. If we ever sell, he will be our agent. Thanks Steve. I met Steve through another renter of his. I am new to the area and have a growing family to accommodate. I spoke to Steve about rental availability long before I was renting from him and he informed me truthfully about the rental market in Placerville. Without his advice, I would probably still be looking. He really helped us to create a home environment for our family by gearing us up for the challenge! When I became a tenant under Steve, he was very thorough in going over all the paperwork and requirements. The walk through of the property we selected was very detailed and we are now happy tenants! Thanks Steve! Thanks for all you guys do! You’re our favorite landlords – and we’ve had a lot in the last 10 years! Thanks for the great service you provide. …you are always the voice of reason! I really appreciate you speaking with me the other evening. This is exactly why I appreciate having you as a property manager — you are always the voice of reason, experience, and wisdom! Steve has taken excellent care of my home and tenants! Steve has managed my home rental for over 8 years. Not living in the area, Steve has taken excellent care of my home and tenants! I even left and came back to Steve as his thoroughness and effectiveness couldn’t be replaced. Thank you Steve! Steve is a very nice man he helped us find a home that we love! Thank You Steve! We had looked for a home for approximately 6 months and could not find any rentals and when we meet Steve is a very nice man he helped us find a home that we love, within the same week we met him. Steve strives to protect the renters as well as the landlords and I like the way he does business and I would recommend anyone who is looking for rentals to rent from Placerville Realty. Steve, you know I think you are the best. I really appreciate you and the great job you have done for me since the early 1990’s. Thank you for a job well done. I have never lost a day’s rent. Steve has managed my rental in Placerville since 1993. I have never lost a day’s rent. It was time to do some repairs so it was vacant for awhile. God bless you Steve, you do a wonderful job. Any concern I have ever had has been addressed immediately and completely to my satisfaction. I have been renting from Steve Baker/Placerville Realty for over a year and was so happy to renew my yearly lease several months ago! Steve is a great property manager. Any concern I have ever had has been addressed immediately and completely to my satisfaction. I would highly recommend Steve Baker/Placerville Realty. … he screens and places new tenants in record time. My husband and I have worked with Steve Baker/Placerville Realty for 16 years. Steve has consistently kept our property in Placerville rented… and when necessary… he screens and places new tenants in record time. Due to his excellent screening process…we’ve had good, long-term tenants. 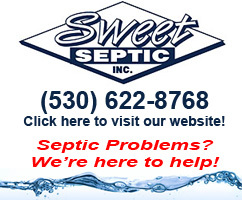 Any issues are always taken care of quickly…and this is a real plus…since we live in Oregon. Five+ star rating. Way to set a precedent for other companies to strive towards. From the first inquiry, through the process of applying, viewing the unit and ultimately signing the contract and moving in, Steve and his team were wonderful. All the terms were clearly stated, and any questions that arose were met with clear and prompt responses. I turned in a short list of items that needing attending to and their wonderful maintenance team was quick and efficient in getting them fixed when it worked for me. I can’t say enough wonderful things about this property management company. Great job, and way to set a precedent for other companies to strive towards. I would recommend Steve to any of my friends or family. Steve was referred by others in the real estate field, and he has been an absolute pleasure to rent from. He is very helpful and understanding. I would recommend Steve to any of my friends or family. Thank you so much Steve. Pending applications. We are not accepting additional applications at this time.